We are proud to continue to offer unique, cost effective and innovative packaging solutions in Paperboards, Textile Carriers, FIBC bags and Corrugated Pallets since 1982. Originating in North Carolina, our manufacturing and distribution now spans the globe, and helps businesses represent their brand, and meet their goals. We are proud to be selected as the 2017 Supplier of the Year by eTextile Communications. Learn more about our path in the feature article. 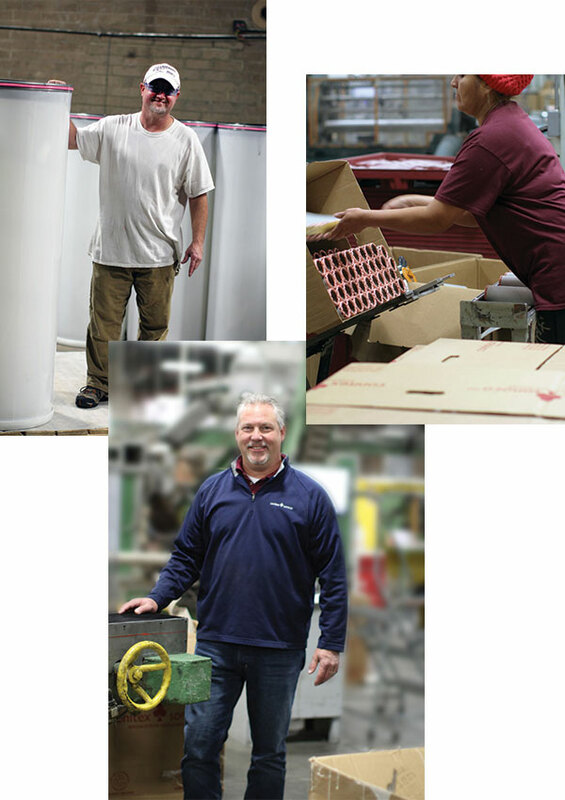 Conitex’s story begins in 1982 as an importer-wholesaler to the booming textile industry of the Carolinas and other parts of the US. A Spanish-owned company, Conitex saw an opportunity to revolutionize paper cone supply for spun yarn in the U.S. textile industry by developing and installing an automated cone manufacturing line designed by their Barcelona-based research and engineering team. With domestically-available automated cone production, the company could offer an industry-leading two-week turnaround on cone orders for US-based textile manufacturers. In 1983, José Luis Artiga was appointed CEO of Conitex and led the reformation and growth of the Conitex brand. 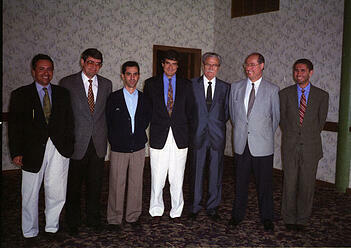 José Luis surrounded himself with a strong leadership team. In an industry where the average tenure of a C-suite executive is under five years, Conitex’s executive committee has worked together for more than thirty years. This extraordinary team's collective business acumen has guided the growth and diversification of the Conitex Sonoco product offering to ensure, not only the company's survival, but that the company would continue to thrive and better serve their customers.  Over the years, the company maintained a lean and relatively flat organizational structure, allowing Conitex to quickly adapt to changing economic and industrial challenges. The company’s strong industrial relationships, coupled with their dedicated focus on quality products and leading customer service, provided Conitex with the foresight to open new plants in emerging textile markets, globally. Throughout the 90’s Conitex invested in recycled paper mills in Europe and Asia, to ensure a reliable and high-quality source of raw materials for its cone business. In 1994, the company expanded into open-end tube manufacturing and brown-and-round industrial cores. These forays into the tube and core market prompted keen attention from industry giant Sonoco and, in 1998, Conitex executive members accepted a 30 percent equity partnership with Sonoco to form the joint venture, Conitex Sonoco. As part of this deal, Conitex Sonoco acquired cone manufacturing facilities in South Carolina, Greece and Mexico. In the 2000s, the company extended its product line and capabilities to better serve their textile customers by adding sliver cans, corrugated pallets and labels. In 2008, the company formed a joint venture with the Cordial Adhesives in the Netherlands, a leader in adhesive development and production. The joint venture, PapCor, has locations in Shandong, China and Subang, Indonesia. Product extension continued through distribution of other technical packaging products, namely flexible intermediate bulk container (FIBC) bags. In 2012, the company became one of only a handful of bulk bag suppliers with U.S.-based manufacturing and warehouse locations when it acquired BulkSak, Inc. of Malvern, Ark., where it produces FIBC bags. In 2018, José Luis Artiga sold his majority share of Conitex Sonoco to joint venture partner, Sonoco and the company became a fully-owned subsidiary of Sonoco's Industrial Converted Products Division. 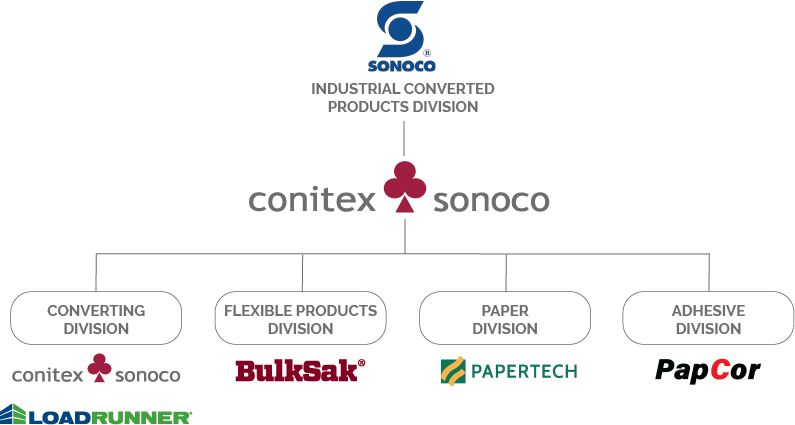 Today, Conitex Sonoco comprises four major divisions: Paper, Converting, Flexible Packaging and Adhesives. Over a span of thirty-five years, Conitex Sonoco has become a global packaging solutions group with over $250 million in sales and a physical presence in over ten countries and across four continents. The company manufactures approximately 1.4 billion cones and tubes annually and produces over 300,000 metric tons of recycled paperboard worldwide. Conitex Sonoco has manufacturing facilities and administrative offices in 11 countries, allowing us to serve the needs of our customers worldwide. We employ in-country managers who oversee quality production and adherence to customer specifications as well as sourcing needs for the products we do not manufacture. Having an in-country liaison fosters faster response times, higher quality and reduces costs associated with errors. Since our customers are the only reason for our existence, they deserve and will receive top priority. We will be innovative and creative in our problem solving approach. OUR CHIEF GOAL IS CONTINUOUS IMPROVEMENT IN ALL AREAS. As we reach for excellence in the manufacturing, servicing and administrative functions of our business, we are committed to continuous improvement in everything we do and strive to be the lowest cost producer in our industries. OUR ASSOCIATES ARE PART OF A TEAM. We will treat each other with trust and respect and promote a safe, enjoyable and environmentally responsible workplace. We realize that everyone plays a part a part in the overall success of our company. We will encourage initiative and help each other. OUR ETHICAL STANDARDS WILL NOT BE COMPRISED. We will endeavor to maintain strong ethical standards in our activities and follow through on our commitments. At Conitex Sonoco, we have a history of involvement in social responsibility activities and donations for surrounding communities in the countries in which we operate. In China, we have sponsored scholarships for local school children as well as college scholarships for the children of employees, performed blood drives in cooperation with the Red-Cross, sponsored care for senior-citizens in extreme living situations, and annually supported the Firefighter's Association. 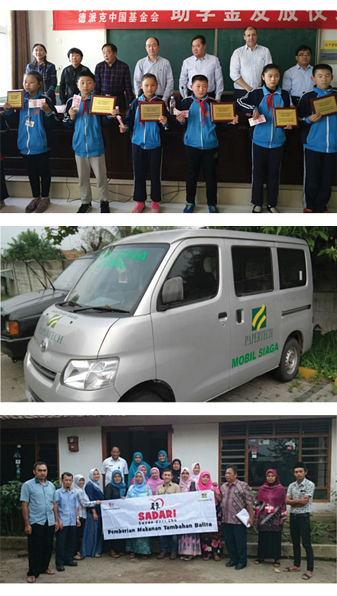 In our locations like Indonesia, we've distributed food items and held free medicine clinics and provided medical transportation for the villages surrounding our facility. We've helped pay teacher salary as well as offer scholarships for local school children who could not afford to attend school otherwise. We look forward to continuing to support our communities in the future.